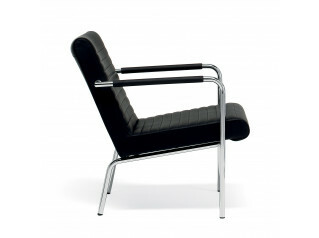 Fauteuil Direction Armchair designed by Jean Prouve, 1951. 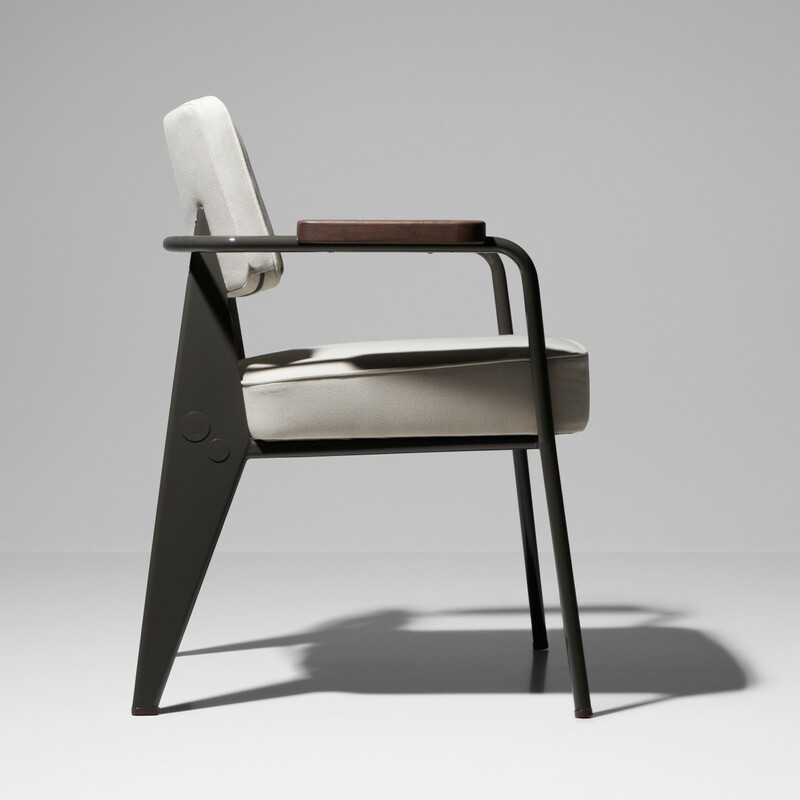 Stylish four-legged chair ideal for waiting areas and visitor seating. 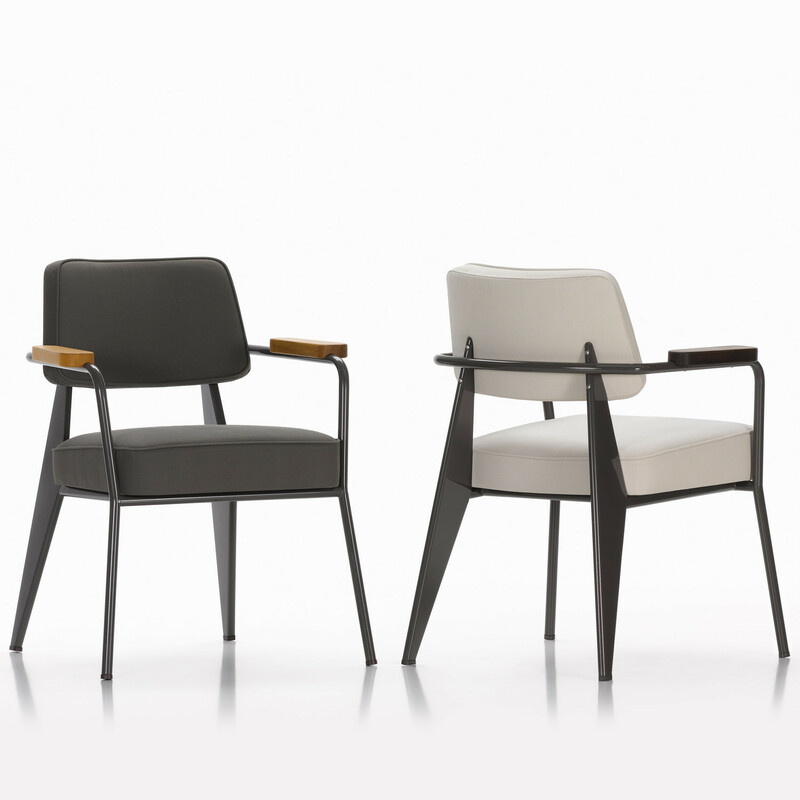 Fauteuil Direction is constructed using powder-coated sheet steel and tubular steel frame. The seat and backrest cushion is polyurethane foam upholstered using 100% cotton fabric. a) Cover: smoke grey with frame finished in basalt. Armrests: natural oak, oiled. Glides in bakelite. b) Cover: off-white with frame finished in basalt. Armrests: smoked oak, oiled. Glides in bakelite. 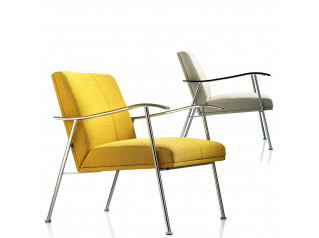 View more furniture designed by Jean Prouvé. 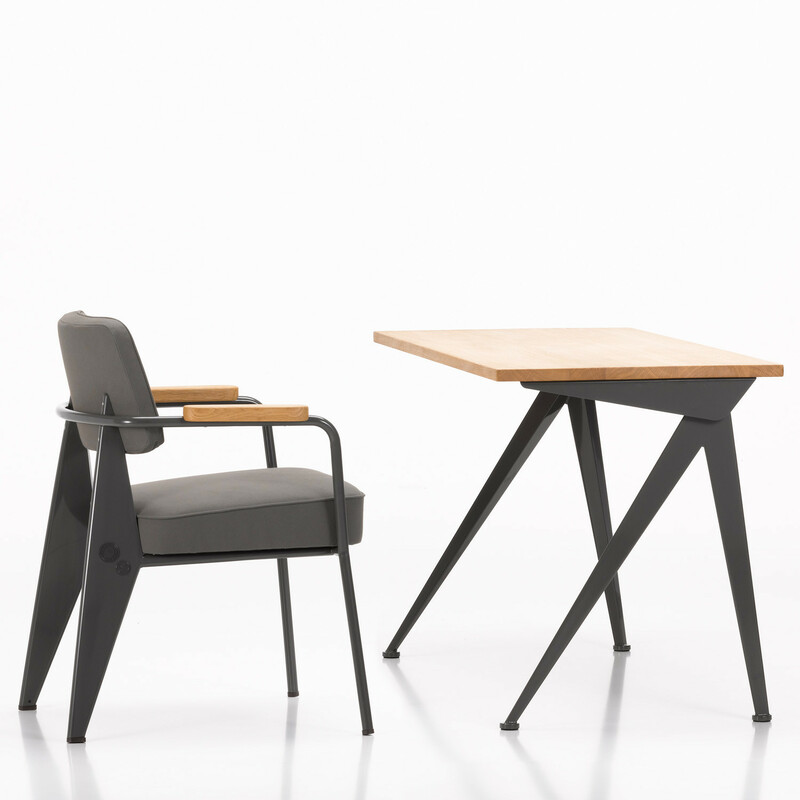 View more furniture manufactured by Vitra. You are requesting a price for the "Fauteuil Direction Armchair"
To create a new project and add "Fauteuil Direction Armchair" to it please click the button below. 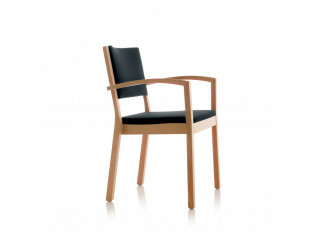 To add "Fauteuil Direction Armchair" to an existing project please select below.